It’s cold outside, and we have plenty happening at the studio to keep you warm and toasty during this frosty weather. We’ve added several new classes to the schedule and our 28-Day Challenge is heating up! You can also refresh your senses this month with a discounted massage. Details below. Hope to see you around the studio soon! Start your day off right! 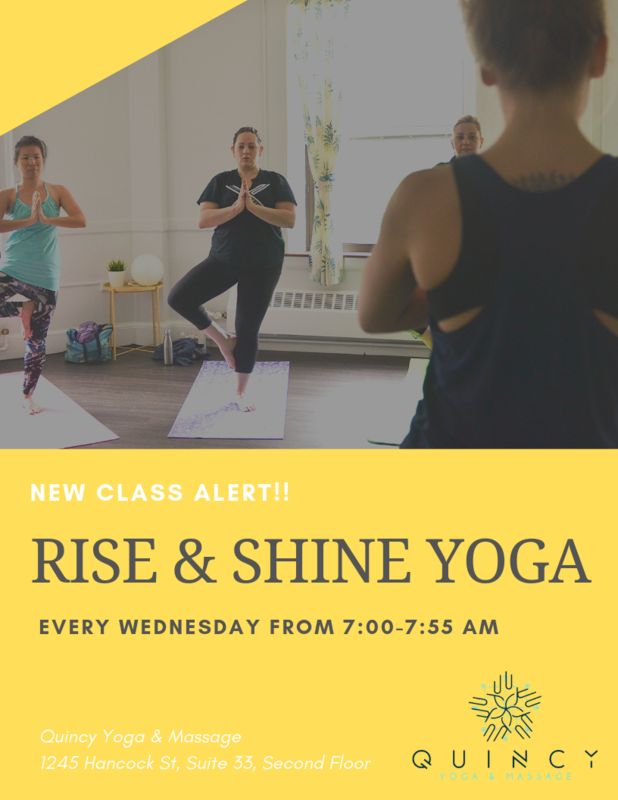 Join us every Wednesday morning from 7:00-7:55 AM for Rise & Shine Yoga. 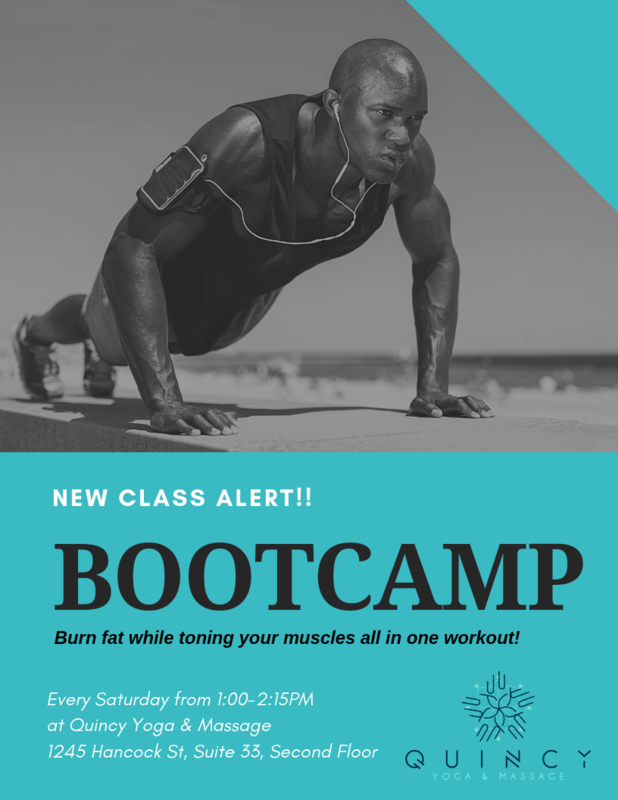 Join us every Saturday at 1:00 PM for Bootcamp, a new fast-paced high-energy fitness experienced! 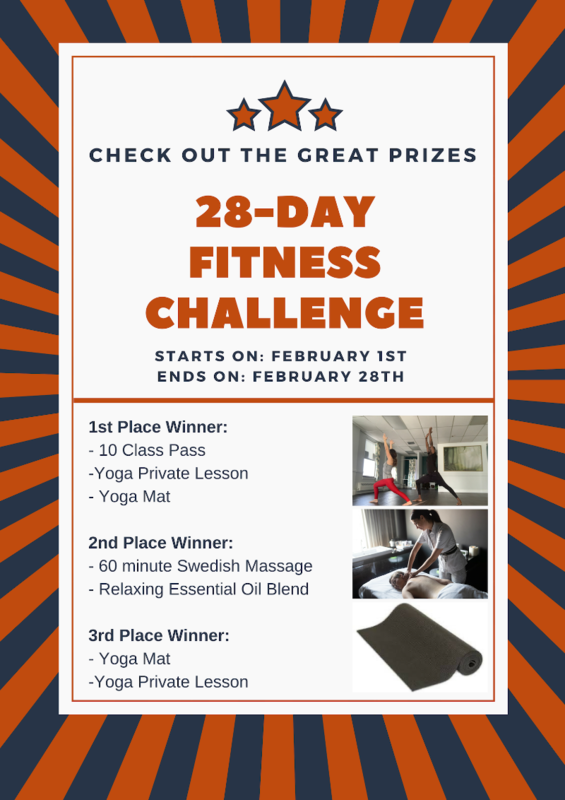 The competition in the 28-Day Fitness Challenge is getting interesting! We have over 12 people signed up so far. They are tracking progress daily and building new healthy habits. Be sure to check the leaderboard the next time you’re in the studio. The top 3 winners will take home some great prizes including yoga passes and massage! View the full list of prizes to the left. Enjoy the classes and massages at Quincy Yoga & Massage?